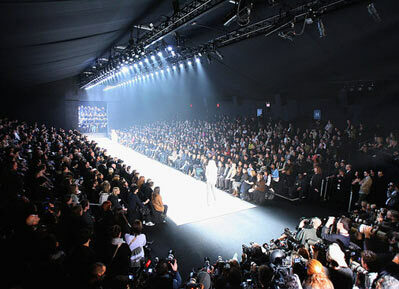 As you�ve been informed lately, New York Fashion Week begins this Thursday (February 7, 2013). Fashion week is a time where everyone gets back to business. You wonder sometimes when you see a presentation, how dare she/he be on her phone and not enjoy the fashion show. You�d probably be cheerful they would be replaced by you. The truth is fashion week is not purely about sitting front row, and enjoying the new collections being presented. Retailers and editors have an immense stress figuring out what to display next season at major stores, to what will become the next top trend acceptable for everyone (for the most part). Bloggers? We could describe fashion bloggers as a second PR responsible for making sure a brand is talked about. For some, it may serve as a fashion entertainment, but for the rest of us bloggers, it�s a devoted job that serves as a means to send a message across for specific collections. Fashion Week is the time to get your duties performed if you really want to open a broader social impact in your career. Well, enough pre-details declared. Below you will find some of the most buzzed about shows you must see during New York Fashion Week. If you miss any of the shows, know that they will be posted here for you to give your opinion as well. More collections will also be available. Below are a few of the major shows you must see for this season's New York Fall/Winter 2013 presentations. We're curious to know if he'll bring back his sensual side for fall again. Will his "regiment" collection include LOVE? This collection will be the one to compare with his Balenciaga debut in Paris. Joseph Altuzarra always has something new to offer that makes us smile. The posh girl's collection is one of the most anticipated shows for many. Her spring collection included items not familiar with the brand. Will she included something new this fall? This is major! We're severely desperate to know how much John Galliano put into this collection. These boys have shown us they have a saying in New York. How much will their collection speak this season. As clean and modern Francisco is, we'd be pleased to come across another interpretation as the one he presented for spring. It would be marvelous for a fashion week closing. Don't forget to follow for the latest coverage.